Is there any real truth to the good stats/bad team thing in the NBA? The Magic, who just made a big investment in Tobias Harris, will soon find out. Tobias Harris knows the bad things people say about him, and he knows why some teams that considered chasing him in free agency backed off. And especially one who spends a lot of time on the perimeter. Harris is right. Four years into a strange career, he’s a classic “good numbers/bad team” guy — an archetype that has long flustered general managers who must project how such players would fare in smaller roles on good teams. Those GMs are thinking more than usual about the question today. A ton of losing teams have been in rebuild mode, and they are now burping up free agents with gaudy numbers and dreams of earning big money under a salary cap rising to unprecedented levels. Are guys like Harris, Enes Kanter, Jordan Clarkson,2 and Michael Carter-Williams actually good? A restricted free agent next summer, but already drawing the good numbers/bad team scrutiny. Teams have access to more statistics than ever, but when it comes to the good numbers/bad team dilemma, GMs fall back on the oldest method of talent evaluation: watching the damn games. That’s in part because there is some degree of skepticism over whether numbers compiled on bad teams mean much — even if a player compiles them efficiently. A popular example: Monta Ellis, derided as an empty-calories loser before emerging in Dallas as a pick-and-roll destroyer. Ellis’s evolution was overstated in some corners; he had always been a skilled driver whose passes led to layups and 3s, and he remained a woeful defender with the Mavs. But Dallas bet that Ellis would look better attacking within the spacing Dirk Nowitzki provides, and the Mavs were right. Numbers tell you a lot, but the process behind those numbers — the “how” — is the most important predictor for how a player will fit on a new team. There is no shortcut to making that kind of determination. You have to watch the film, watch it in the right ways, and do deep background work on a player’s character: his work ethic, what he cares about, his relationships with coaches and teammates. It’s not much different than scouting college players who won’t get to shoot as much in the NBA. “Every NBA player was a star in college,” Rockets GM Daryl Morey says, “and they’re almost all going to be role players here.” Executives with good teams are happy to sit through a reel of Harris jumpers, but they’re really watching to see what Harris contributes when he’s not shooting. And he’s not talking directly about Harris here, to be clear. But what about the “how” behind Harris’s numbers? That’s Harris jacking a triple outside the corner, an area from which he shot just 31 percent, as Nikola Vucevic rolls free to the rim with 13 seconds left on the shot clock. That’s Harris pulling the same thing, looking off a wide-open Victor Oladipo at the top of the arc with 14 seconds left on the shot clock. Harris ranked about average in “gravity score,” a SportVU metric provided to Grantland that measures how closely defenders stick to individual offensive players. He ranked well below average in “distraction score,” which measures how far defenders roam off players. That will slowly change if Harris’s uptick from deep last season proves lasting; he already felt some defenders paying closer attention. “Some teams definitely hugged up on me more,” Harris says. “And some teams still backed way off.” Harris toggles between both forward spots, and improved shooting would be especially useful when Scott Skiles slots him at power forward in small-ball groups. If Harris becomes a real threat from long range, he could drag one opposing big-man defender away from the paint — uncluttering it for Payton and Oladipo. Harris spends a lot of practice time shooting 3s off the dribble, even though he’ll rarely do that in games. Shooting off the bounce is harder, and if he can master that, shooting off the catch “should be money,” Harris explains. Harris has a chance to move right into a quick-hitting pick-and-roll with Vucevic, but he pauses and gives the defense time to set itself. Those moments of hesitation dot Harris’s game,5 and those blips can kill possessions in a league that is increasingly about flinging the ball from side to side. He would drive Gregg Popovich crazy. Instead of using Vucevic’s screen and slicing down the middle, Harris drives away from it and into the open pocket of space along the baseline — right where Indiana can fence him in. That’s a bad habit Harris leans on too often; he veered away from the screen on about 25 percent of his pick-and-rolls, one of the league’s 10 highest rates, per Synergy Sports. 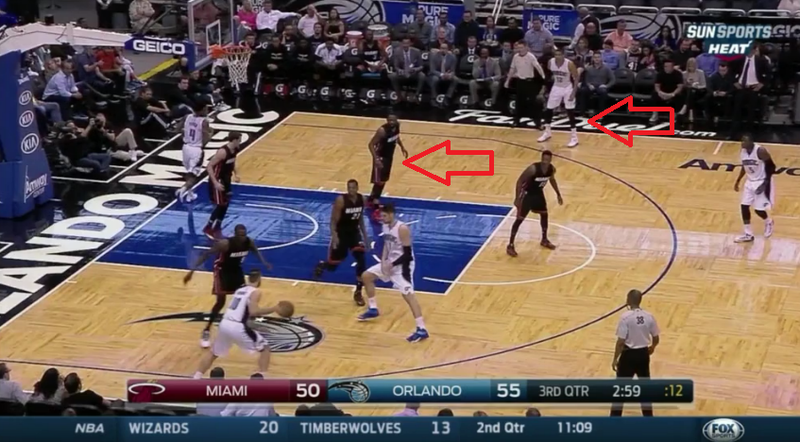 That’s not all on Harris; defenders stray far from Harris and Oladipo, turning the paint into a forest of swiping arms. The good passing lanes get clogged, and the open guys are mostly awful shooters. Still: Harris has to mix things up. “I need to be more unpredictable,” he says. He has a nice change-of-pace game, and he rises up for nifty floaters. That’s Kawhi freaking Leonard. Critics wonder what position Harris plays, but his versatility is a big part of his value. He can drive past power forwards and bully wings; Harris shot 51 percent on post-ups last season, per Synergy, one of the best marks in the league. He can do a little bit of everything on offense. He just needs to do less of the bad things and more of the good things — to trade a few bad jumpers for passes that keep the offense chugging. Whether he can do that is the biggest question surrounding his game. Harris just got paid, and there is a school of thought among league sources that with money in the bank, he might be a little less greedy on offense. He only turned 23 last week. If he passed more, perhaps Harris could be a score-first version of Draymond Green — a jack-of-all-trades who spaces the floor and works mismatches. Others are skeptical that a good numbers/bad team player can change on a dime. “Guys don’t change,” one GM says. “You either have that [unselfishness] in you, or you don’t. You don’t care about contract years.” If he can’t refine his passing skills, Harris may top out as an elite bench scorer who can dominate the ball on second units — and someone the Magic might eventually try to trade. That’s a defensible bet, and given Harris’s tantalizing skill set, it’s a better bet than the opposite kind: Overpaying a guy in part because he played on a winning team. Harris will earn about as much per season as Aron Baynes, Cory Joseph, and Matthew Dellavedova combined, but Harris is the one guy among them who could change a franchise. You have to bring the fire every second you’re on the floor. Harris hasn’t always done that; he’s taken just two charges over his four seasons, per data provided by Stats LLC. A lot of guys have flopped their way into more charges than that. Harris generally gets where he needs to be, and when, within Orlando’s help scheme, though he can get turned around if an enemy offense moves the ball fast enough. He has been a minus defender so far, but he hasn’t exactly had a stable NBA career. He started as a benchwarmer on Milwaukee teams lacking veteran leadership, and he fell in and out of favor with two different Orlando coaches. He has flipped almost haphazardly between positions, in all sorts of crazy lineups. Provide a bit more stability, and Harris might flourish. Skiles will demand accountability on defense, and his last Milwaukee teams flashed the kind of side-to-side ball movement that became even more in vogue after the Bucks fired him. The ball got sticky in Orlando last season, and the team hopes that will change under Skiles. The Magic will be an interesting team this season, but they are most intriguing with the Aaron Gordon–Harris pairing of positionally ambiguous hybrid forwards. Gordon is a bouncy defender learning to shoot more, and Harris is a score-first guy working to refine his defense. They could switch almost anything on defense and use their speed to punish teams on the other end. The Magic will be hurting for rim protection with Vucevic at center, but Dewayne Dedmon might be the only traditional big on the roster who brings that skill. Dedmon has hooves for hands,6 and pairing him with Vucevic was the final death blow for Orlando’s already shaky spacing. Getting funky with the Harris-Gordon duo might be Orlando’s best path toward solid two-way play. “Teams would have to pick their poison,” Harris says. It would certainly be the most entertaining. That’s in part up to Harris. He has his warts, but look closely, and you can see the profile of a player who could flourish in the modern NBA. The Magic were smart to wager on that upside. Now they and Harris must work together to bring it out.